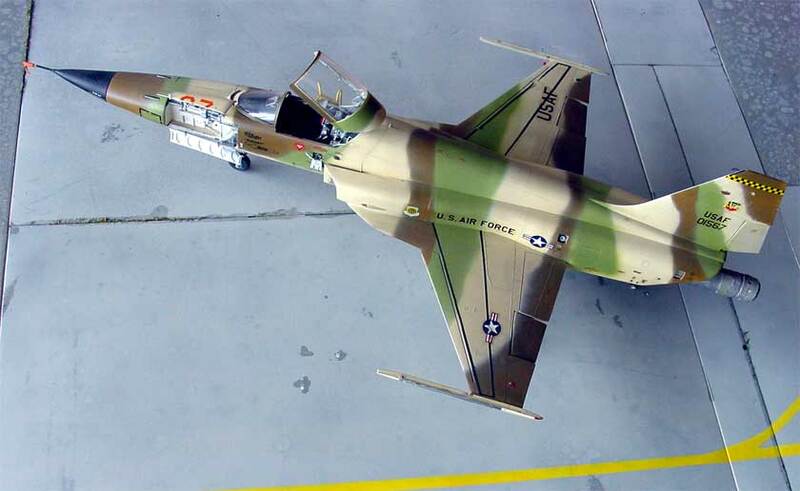 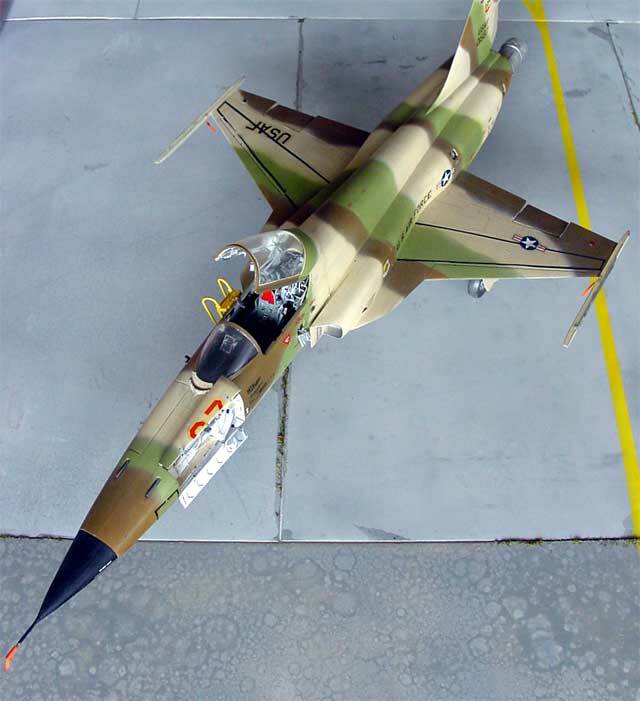 The Northrop F-5E was a modernized F-5, a very low weight "poor mans" fighter and attack aircraft developed in the sixties. 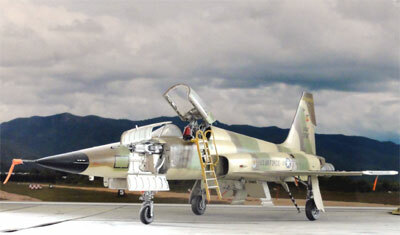 The F-5E has powerfull engines, new avionics, improved wing and radar. 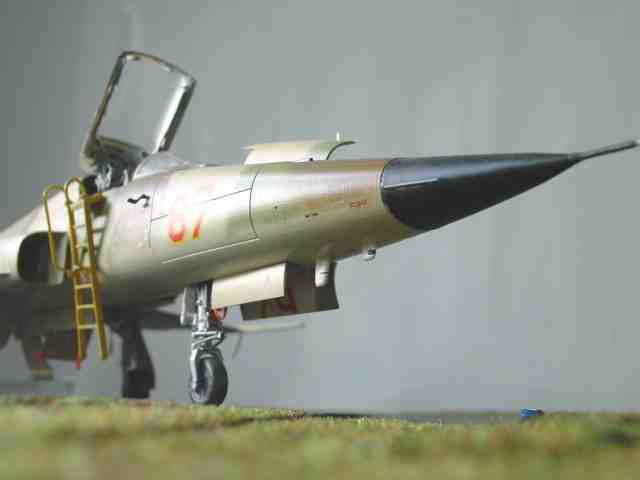 The 1/32 model available of Hasegawa is excellent. 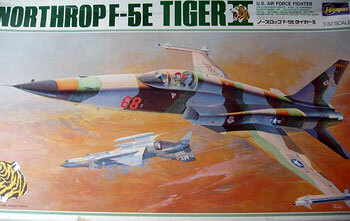 It was also re-issued later in a Revell box. 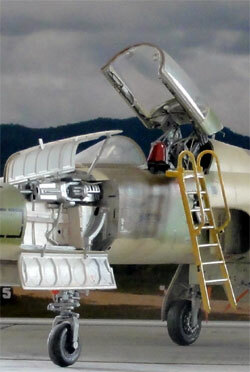 But, as every model, it can be improved and detailed. 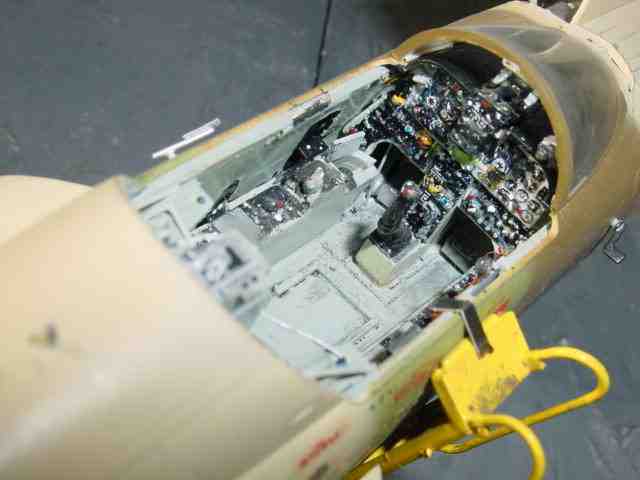 Detailed were the cockpit, undercarriages and bays, and as a bonus: the aft section was removed to expose a detailed engine. 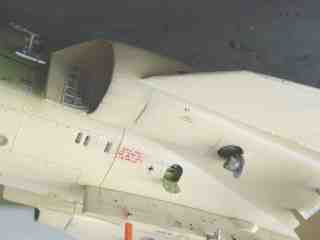 The intakes need the tunnel with some details on the fuselages undersides. 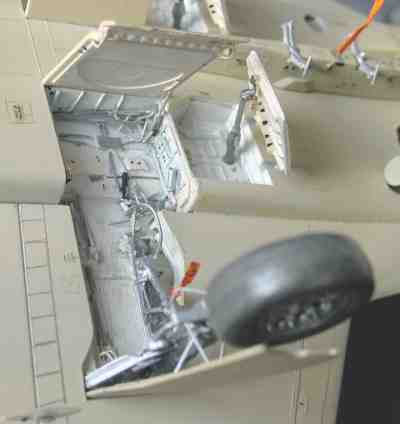 The main wheel bays were given more depth and detailed with tubing etc. 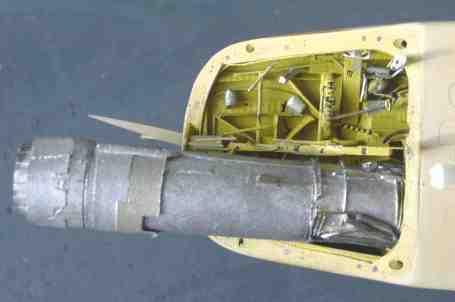 The cockpit panels were detailed, the cockpit internal sides were given depth and the seat was not forgotten. 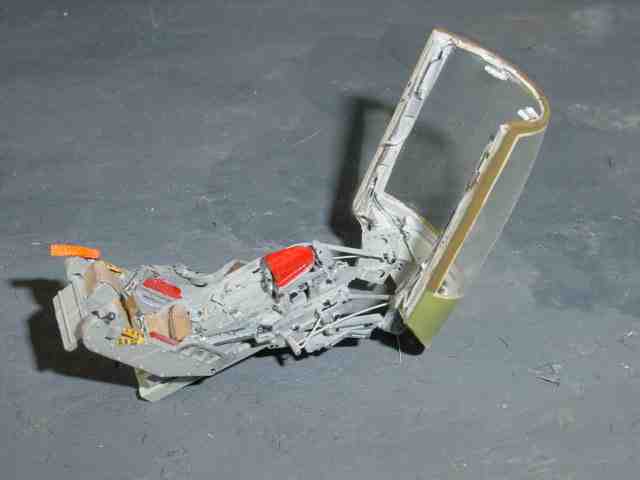 Seat with scratch swivelling mechanism for the raised canopy. 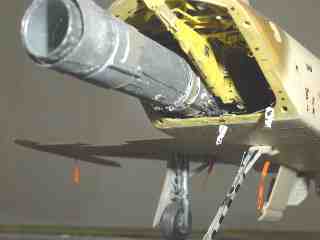 The nose with the weapons bay, as with the kit. 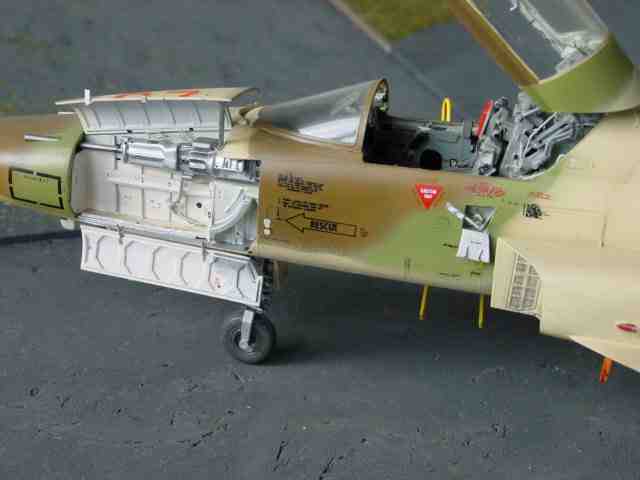 As the finished model is an "agressor tiger", no ammunition canister was installed.